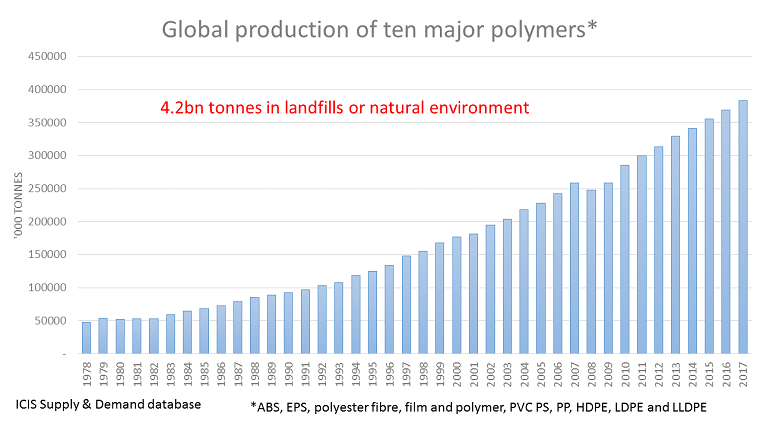 THE world will have produced a total of 6.9bn tonnes of the 11 synthetic polymers I’ve detailed in the above chart between 1978, when our data begins, and the end of 2017. Using the assumptions behind an important new study that was launched in July this year, let’s assume that 76% of what has been produced ends up as plastic waste. And again on the basis of the study – which was published in the peer-reviewed journal Science Advance – let’s estimate that 79% of this waste ends up in landfills or the natural environment (the remainder of the waste would be incinerated or recycled). 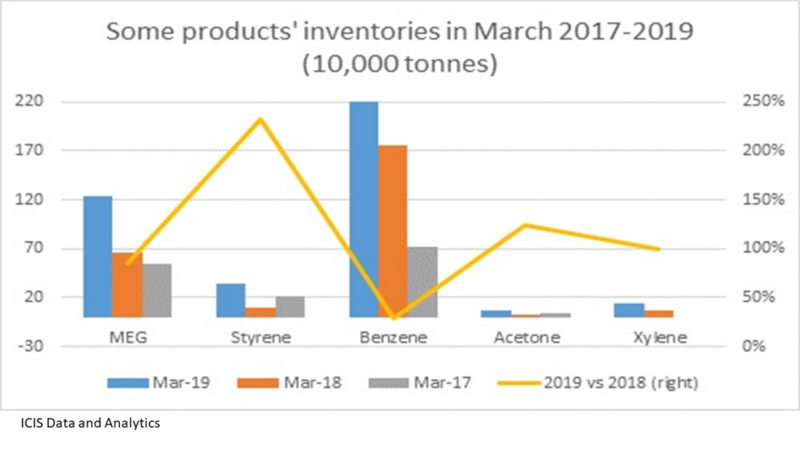 That would amount to an eye-watering 4.2bn tonnes of the production of just these 11 polymers. As plastics take some 400 years to biodegrade, this 4.2bn tonnes is still hanging around. “If current production and waste management trends continue, roughly 12,000m tonnes [12bn] of [all] plastic waste will be in landfills or in the natural environment by 2050,” write the authors of the study. We are in effect carrying out an experiment with our eco-system, the final results of which are completely unknown to us. What, for example, will be the effect on fish populations and on human health as fish ingest more and more of our plastic rubbish? Another very worrying forecast is that by 2050 there will be more plastic in our oceans and seas than fish, according to the World Economic Forum. You might say, “We simply don’t have sufficient data to answer questions like this, and so let’s not jump to alarming conclusions”. Many people in the petrochemicals and polymers industries will very rightly add that plastics have quite literally saved millions of lives. Think of drip irrigation systems made from plastic pipes that have improved crop yields. Plastic films and refrigeration help keep food fresh for a long time. Can you also imagine a modern hospital functioning properly without polymers? Of course not. The lists goes on and on. But this is exactly the same as the debate over whether or not human activity is responsible for climate change. Some people in our industry are saying, “We don’t have the data to prove man-made global warming”, or even, “Look at this data I’ve found – it proves that the scientific consensus is wrong. Climate change has nothing to do with carbon dioxide and other ‘greenhouse gas’ emissions”. In countering the views of the climate-change consensus, these same industry executives also point to all the good things that the oil, gas and petrochemicals industries have undoubtedly done for humanity. I am afraid, though, that this entirely misses the point. Perhaps one day in the distant future the climate-change sceptics will be proved right. But being right will feel like a hollow victory if the petrochemicals company you used to work for is out of business because it failed to respond to legislative pressure resulting from today’s firm consensus that climate change is man-made. I believe that as legislation designed to reduce greenhouse gas emissions builds, so will new rules and regulations aimed at reducing plastic waste. Here is why. During the Babyboomer-led Economic Supercycle, the expanding population of young people were not that concerned about the side-effects of our throwaway society because of the confidence of youth. But as populations in the West age, older people don’t need vast new quantities of everything to be produced. And being older, people are naturally more suspicious of change and tend to see more downsides than upsides. And of course young people are becoming more and more environmentally conscious, thanks to the ability of the environmental lobbies to shape the debate through social media. 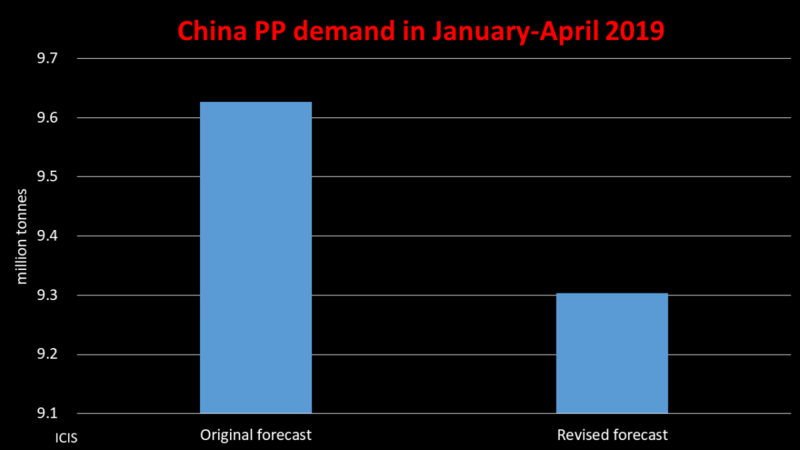 Long-term GDP growth will also remain below levels seen during the Supercycle. It will thus become more and more apparent that throwing plastic away is a huge waste of economic value when it can instead by recycled back into finished products or turned into virgin plastics, waxes and oils. Sustainability will be seen as making economic as well as environmental sense. Wave after wave of regulations forcing the recycling of more and plastics will be introduced – both at national and possibly even international levels. 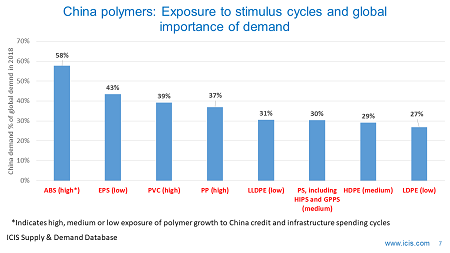 Petrochemicals producers can also expect to have to pay for externalities – e.g. the environmental and so economic damage caused by plastic pollution in landfill sites and the oceans. There was a lot of unfounded scepticism ahead of the Paris climate deal over whether developing countries would sign-up. But they did sign up, including most importantly China and India. The same doubts will no doubt build over the willingness of developing countries to legislate against plastic rubbish. India banned ultra-thin plastic bags in 2002. 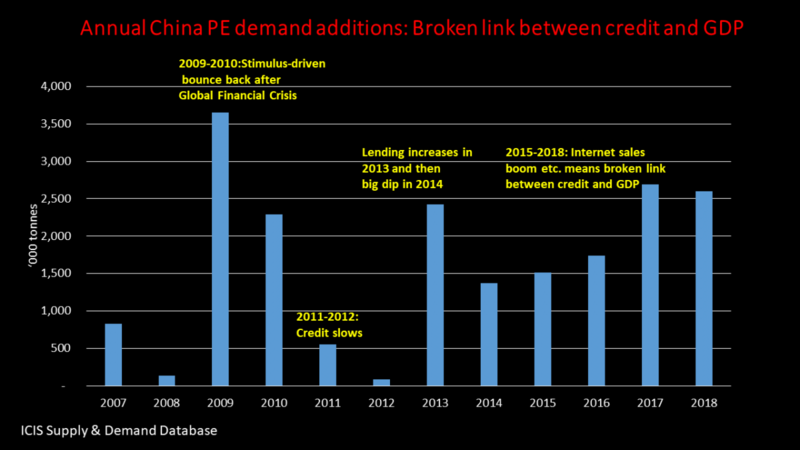 China followed suit in 2008. And in January this year, India’s capital city, Delhi, introduced a ban on all single-use plastic. 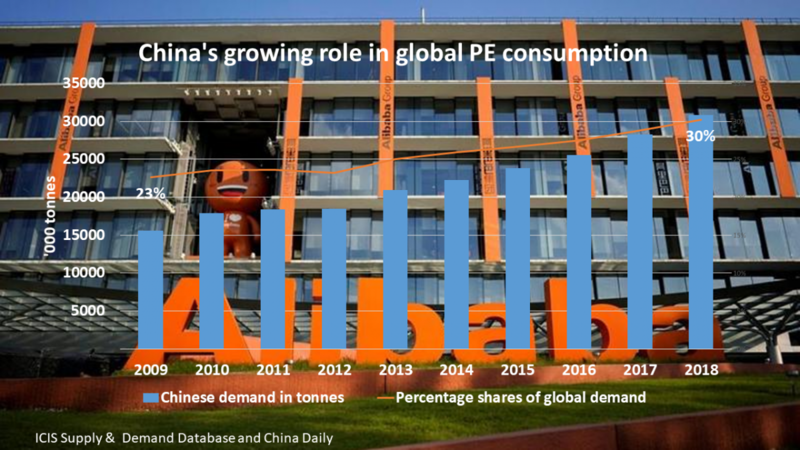 China has of course become the world’s most important polymers market following a quite breath-taking growth in consumption. Looking again at the same ten major synthetic resins, it consumed just 854,000 tonnes in 1978. We expect this will have grown to around 168m tonnes by the end of this year – an increase of some 20,000%. How quickly will it accelerate its rules and regulations on plastic waste? 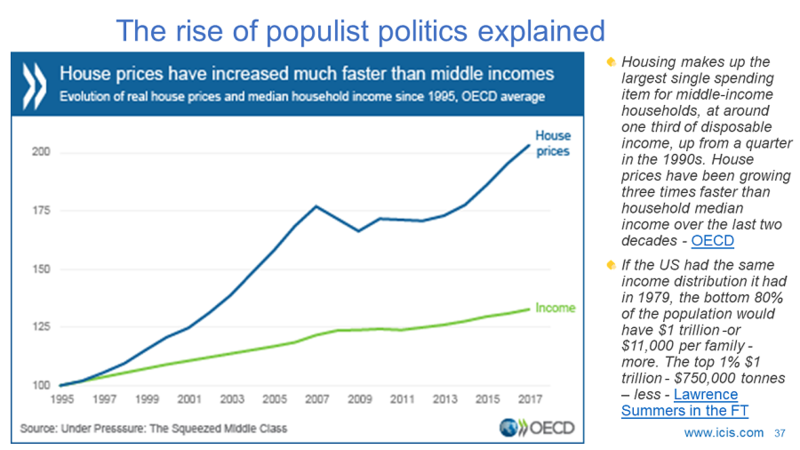 I suspect more quickly than many people expect, as, like its big push for more renewable energy, this will help China escape its middle-income trap. Strong government support for R&D will likely lead to a growth in innovative, high value manufacturing solutions to the plastic waste challenge. It is important to realise that the definition of plastic waste will be broader than some people think. The most visible, and so obvious, target of plastic waste legislation will be all the polymers that go into single-use items such as plastic films and bottles. But our throwaway society in general will come into focus – e.g. all the TVs, refrigerators, washing machines and computers etc. that are not recycled. Mobility will be another target as autonomous driving and ride-hailing technologies develop. These technologies are linked to the emergence of electric vehicles and the campaign to reduce carbon emissions. The plastics used in cars will also become part of the sustainability equation. Why own a car when you can instead so easily hire a ride only when you need it? This will a.) Reduce the number of cars on the road and thus the “unnecessary and wasteful” production of plastics, and b.) Work our cheaper for people on squeezed incomes because of ageing populations. 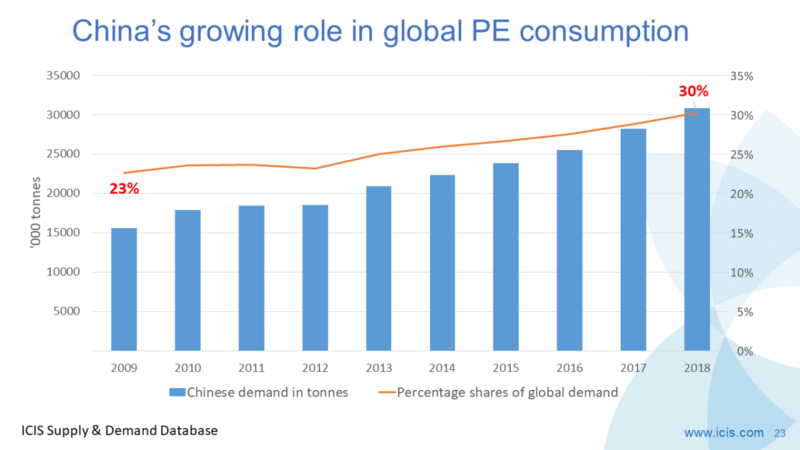 In summary, this is the is the message: Plastics demand is already peaking and will start to decline on the growth of the circular economy. How might a polymers company, for instance, work with a provider of autonomous vehicles to help keep its fleet of cars on the road for as long as possible? 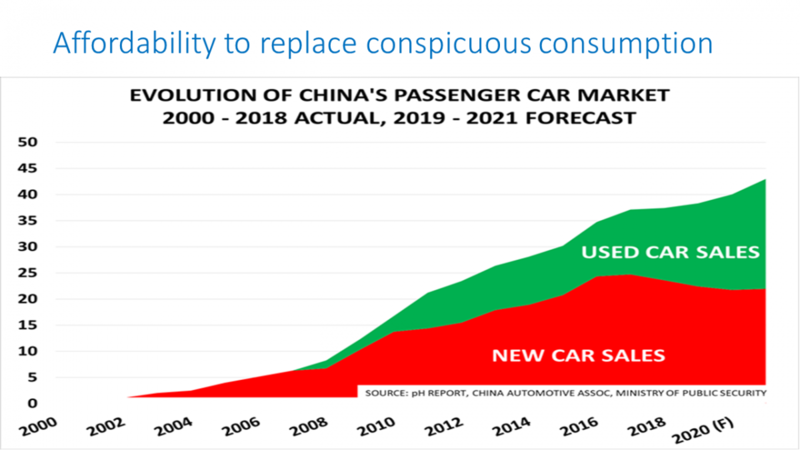 This will of course mean demand destruction as the longer that a vehicle lasts, the less demand there will be for new cars. But if you don’t work with the autonomous vehicles company in this way your competitor surely will, such will be the pressure to minimise buying new cars for sustainability and economic reasons. So why not work help set up a chain of3D printing workshops? In this way you can make sure that only your polymer resins are used whenever a spare part needs to be printed to replace a worn out car bumper, windscreen wipers or engine component etc.